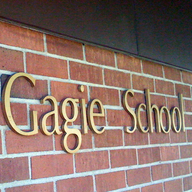 For over thirty years, the Gagie School has prepared children to become very highly contributing members of society. From the beginning we set out to provide a very basic, strong educational foundation. We enrich the learning experience with wonderful programs in art, music, and Spanish, band, drama & athletics for children in preschool through 8th grade.